The sporting world of the twenty first century is ultra-competitive. The professionalisation and influx of money has converted many sports into a competitive business with success highly dependent upon sporting victories. Many methods are brought into play to give an athlete a split second advantage over the other, or go just that little bit further. 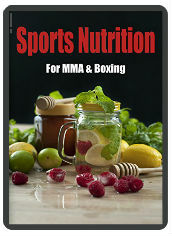 In nearly every circumstance these athletes will at some stage look towards the world of sports nutrition for that ‘edge. Nutritional supplements have become popular with athletes in an attempt to improve recovery and performance. However, drugs testing has become a mine field for these sports men and women, with many legally obtainable supplements containing traces of banned substances. But Creatine Monohydrate is one “safe” supplement that is commonly used. Because of it’s availability, relative low cost and legality, Creatine has become widespread in recent years and is used by many athletes, amateur and world class alike. But what is Creatine? How does it work? Exactly how does it benefit the user? This article will delve into all the leading research that has been done on Creatine and will present you with the facts on one of the world’s most popular sports supplements. Creatine (Cr) is a compound made naturally in the body. It is manufactured in the liver, kidneys and pancreas and secreted into blood for transport to muscle (amongst other) tissues. Its chemical name is Methylguanido-Acetic Acid, formed from the amino acids Arginine, Methionine and Glycine (Collier, J. 2004). Creatine has a number of major functions as a sports supplement. Review of the literature indicates that over 500 research studies have evaluated the effects of Creatine supplementation on muscle physiology and/or exercise capacity in healthy, trained, and various diseased populations. This report reviews the available research that has examined the potential ergogenic value of Creatine supplementation on exercise performance and training adaptations. The article aims to critically analyse the current literature, outline the possible benefits / side effects of Creatine supplementation and provide the athlete with recommendations. Results regarding the ergogenic effect of Creatine (Cr) on anaerobic performance in sedentary and active subjects are equivocal. As for the anabolic role of various Cr regimens, an increase in body mass (1.5 kg only, on average) is often reported (e.g. Greenhaff et al, 1995) while unobserved in many other studies (e.g. Juhn, 2003). Due to the small number of studies and the variety in methods used to monitor body composition, it is difficult to identify the components that are affected by these changes. In fact, some have observed significant gains in lean body mass in subjects ingesting Cr, while others have not. Body weight gain might be due to an increase in intracellular or total body water, but this hypothesis has recently been challenged (e.g. Saint-Pierre et al, 2002). Of the approximately 300 studies that have evaluated the potential ergogenic value of Creatine supplementation, about 70% of these studies report statistically significant results while remaining studies generally report non-significant gains in performance (e.g. Balsom et al, 1993). No study reports a statistically significant ergolytic, negative effect. For example, short-term creatine supplementation has been reported to improve maximal power/strength 5–15% (e.g. Koak & Karli, 2003); work performed during sets of maximal effort muscle contractions 5–15% (e.g. Burke et al, 2003), single-effort sprint performance 1–5% (Skare et al, 2001), and work performed during repetitive sprint performance 5–15% (e.g. Greenhaff at al 1997). An appropriate starting point for an analysis of creatine, is to investigate whether the supplement causes an increase in the amount of phosphocreatine present in muscle. Short-term creatine supplementation (e.g. 20 g/day for 5–7 days) has typically been reported to increase total creatine content by 10–30% and phosphocreatine stores by 10–40%. Birch et al. (1994), Dawson et al (1995), Earnest et al (1995) and Vandenberghe et al. (1996) observed an increased performance during bicycle sprints in the first bout, but Balsom et al. (1993) and Balsom et al. (1995) observed an increased performance in bicycle sprints towards the final bouts. An increased performance could be a result of the increased amount of PCr available in skeletal muscle, since the amount of PCr is one of the most likely limitations to muscle performance during brief, high power exercise (Hultman & Greenhaff, 1991). Odland et al suggested that supplementation increases free creatine levels but fails to increase the level of phosphocreatine. Under these circumstances, the muscle cell would not benefit from an enhanced phosphoryl transfer potential. The authors also stated that although their study showed no benefit from Cr loading, the possibility of creatine supplementation having a positive influence on repeated bouts of exercise was possible. The creatine phosphate shuttle, provides the basis for this contention. Phosphorylated in mitochondria, creatine phosphate diffuses to the myofibrils where it can be used for contraction. It has been suggested that creatine supplementation produces an ergogenic effect by increasing the resting intramuscular stores of creatine phosphate. The increased dietary intake of Creatine would stimulate the formation and storage of “extra” phosphocreatine within the skeletal muscle and, in doing so, delay the gradual depletion of intramuscular phosphagen stores that is thought to occur during sustained high-intensity muscular activity (cf.www.gssiweb.com). Creatine is found in two forms in the body, two-thirds as creatine phosphate (PCr or phosphocreatine) (Maughan, 1995). The remaining one-third exists as free creatine (Maughan, 1995). Together, free creatine and PCr form the total creatine pool (Balsom, 1994). There is 3-4 times the amount of PCr in resting muscle compared to adenosine triphosphate (ATP) (Oopik, 1994;Tortora et al, 1993). Greenhaff (1993) conducted a study, showing the influence of oral creatine supplementation on muscle torque, comparing a placebo group to subjects who had ingested creatine. The subjects did 5 sets of knee extensions, 30 repetitions each, and results were taken before and after ingestion of either placebo or creatine. The results showed no change in the placebo group but a statistically significant difference in muscle torque during the 2nd and 3rd sets in the creatine group and a nearly significant increase during bouts 4 and 5. The effect of creatine loading on the performance of sedentary and recreationally active individuals has been well documented, but research on well-trained individuals is still lacking. A double-blind study conducted by Rossouw et al (2000) examined the effect of creatine monohydrate loading (9g/day) on maximal intermittent isokinetic exercise and sport-specific strength in 13 well-trained power-lifters. Both before and after supplementation the creatine (n=8) and placebo (n=5) groups performed three sets of maximal unilateral knee extensions on an isokinetic dynamometer interspaced with 60s rest periods. This was followed up the next day by a maximal dead lift. Values for peak torque, average power, total work and work output during the first five sample repetitions in the creatine group increased significantly and in a relatively constant fashion in all subjects (correlation coefficients ranged between 0.84 and 0.92) after five supplementation days. There was also a significant (p = 0.010) increase in the dead lift lifting volume after six days of creatine supplementation. These results suggest that creatine is a beneficial ergogneic aid to highly trained power athletes. Both isolation and compound weight lifting movements appear to be improved with creatine supplementation. Greenhaff et al (1994) proposed that after creatine supplementation, the rate of creatine phosphate resynthesis from mitochondrial ATP is increased due to creatine availability and an acceleration of the creatine kinase reaction. This increase in phosphocreatine resynthesis may explain why there is an increase in total work output observed after repeated bouts of exercise. The influence of creatine ingestion on endurance exercise performance was also investigated by Balsom et al (1994) and showed that creatine supplementation does not enhance performance or increase peak oxygen uptake during prolonged continuous exercise. In fact, there was actually decreased performance shown by the creatine supplementation group in this study, thought to be due to weight gain. Kurosawa et al (2002) studied the effect of creatine supplementation on forearm muscles of twelve healthy male subjects (age = 22.3 ± 1.1 years (mean ± S.E.)) were examined during a 10 sec maximal dynamic handgrip exercise. In addition they used 31-phosphorus magnetic resonance spectroscopy before and after ingestion with 30 g creatine (Cr) monohydrate or placebo per day for 14 days. Creatine supplementation produced an 11.5 ± 4.6% increase in the resting muscle phosphocreatine (PCr) concentration and a 65.0 ± 4.2% increase in the PCr degradation during Exercise. ATP synthesis rate through PCr hydrolysis and total anaerobic ATP synthesis rate during exercise increased. Cr supplementation positively correlated with the increase in ATP synthesis through PCr hydrolysis and this study strongly indicated that an improvement in performance during exercise was associated with the increased PCr availability for the synthesis of ATP. Within recent years, different forms of oral creatine have become available. Liquid creatine, and tablet form creatine have become available on the supplement market. E. S. Rawson and P. M. Clarkson of the University of Massachusettes, Department of Exercise Science investigated the effect of chewable creatine tablets. Subjects ingested either 5 grams of creatine in chewable tablet form (CREATEAMÔ Chewables) or 5 grams of powder dissolved in warm liquid. The creatine was ingested concurrently with 1 serving of Gatorade mixed with eight ounces of water. Blood samples were collected from the antecubital vein and centrifuged for 10 minutes. All blood was frozen at -80° C until analysis. Approximately 3 ml of serum from each sample was sent to Smith Kline Beecham Laboratories (Waltham Massachusetts) for analysis. Each subject experienced a marked increase in serum creatine concentration compared to baseline measures. There is large variation both between and within each subject’s acute response to a 5-gram oral dose of creatine monohydrate. Subject 1 experienced the most dramatic increase in serum creatine levels under both conditions. Of the two subjects who participated under both conditions, both experienced a more rapid rise in serum creatine when ingesting the CREATEAM Ô chewable tablets, peaking at hour one. More research is required before tablets can be touted as superior to powder form, which has proven itself to be effective in sports, and clinical settings. Other issues still surrounding creatine supplementation, include the supplements effect on single exertions, such as a single 100m race; more specific research is warranted in this area. A meta-analysis of 96 studies which examined creatine supplementation (Branch, 2003), concluded that effect size was greater for change in body composition following a loading-only creatine supplementation regimen (0.26 +/- 0.03, p=.0003) compared to a maintenance regimen (0.04 +/- 0.05), for repetitive-bout (0.25 +/- 0.03,p=.028) compared to single-bout (0.18 +/- 0.02) exercise, and for upper-body exercise (0.42 +/- 0.07, p<.0001) compared to lower (0.21 +/- 0.02) and total body (0.13 +/- 0.04) exercise. Effect size for laboratory-based tasks (e.g., isometric/isotonic/isokinetic exercise, 0.25 +/- 0.02) were greater (p=.014) than those observed for field-based tasks (e.g., running, swimming, 0.14 +/- 0.04. Trained subjects have been studied by Skare et al, Mujika et al. (1986), Burke et al. (1996) (competitive swimmers), Redondo et al. (1996) (field hockey and soccer player) and Javierre et al. (1997) (sprinters). In contrast to the other studies where physically active but not highly specifically trained subjects have been observed (Balsom et al., 1993; Balsom et al., 1995; Birch et al., 1994; Febbraio et al., 1995; Greenhaff et al., 1993; Stroud et al., 1994). Javierre et al. (1997) observed no improvement during a study of male sprinters performing a 150 m sprint after 3 days of 25 g Cr supplementation. The cause of the observed difference could be the larger sample size and the longer supplementation period in our study. The subjects trained regularly and with high specificity to improve their alactic anaerobic capacity. The main object was to observe the additional effect of Cr supplementation and its influence on high-intensity exercise in subjects specifically trained for this activity. Isokinetic dynamometers and bicycles were used as test instruments in several exercise protocols in Cr feeding studies. These types of exercise do not reflect the normal pattern of movement involved in running. These methods were probably chosen in order to more easily standardise the procedures. An improvement in 100 m sprint time is self-evident, but the value of improved intermittent 6 x 60m sprint times is not so obvious. It may suggest that each training component can be performed at a higher quality level and thus Cr supplementation may improve the quality of training, leading to greater gains in sprint performance. Supplementation of Cr increased the plasma Cr 13- fold. During the supplementation periods no record of food consumption were made, but the sprinters were told not to make any diet changes during the experimental period. The increased serum Cr observed in sprinters taking Cr supplementation con- firmed the observations previously made by Chanutin (1922) and Javierre et al. (1997). The increase in PCr obtained by supplementation is probably greater than the increase in PCr achieved by specific sports training. Cr in serum can reflect the Total Creatine in the body (TCr) and increases normally in subjects due mainly to an increase in the Tcr (Chanutin, 1922). In a similar study design, Poortmans & Francaux (1999) observed no statistically significant change in arterial Crn after. A ‘critical review’ conducted by Juhn & Tarnopolsky in 1999 concluded that; the data on a single sprint or first-bout sprint of any kind are inconsistent. The data regarding creatine’s ergogenic effects on mass-dependent activities, such as running and swimming, are not convincing, perhaps because of the side effect of weight gain from water retention. Studies on weight lifting suggest that creatine improves strength possibly by increasing myofibrillar protein synthesis however, more study is needed to prove this. No ergogenic effects on sub maximal or endurance exercise are evident Individual response to creatine supplementation can vary greatly. Discrepancies remain within the current body of research, and the complexity of the full mechanism of creatine supplementation and any consequential improvement in performance may therefore remain beyond sport scientist’s current understanding. However, there are a number of mechanisms and metabolic adaptations that have been observed and have become universally acknowledged.